 Learn What Capricorn May And May Not Do This May! If you have a hobby and if you have been planning to go on vacation, May 2018 is the perfect time to combine the two things and enjoy yourself! If there is no vacation opportunity anytime soon, try to focus on creative activities or at least visit a playground with your kid and just have fun! Big decisions and major changes may not be a good idea at the moment. In fact, no change may even be necessary – it may just be the conflicting energies that make things appear uncomfortable. Avoid taking risks as well; rely on discipline and strict plans to make this May a rewarding month.